A new tablet is always a great item, especially when it’s as versatile as the Nextbook Flexx with the detachable keyboard! This is the perfect time to get one for back to school. 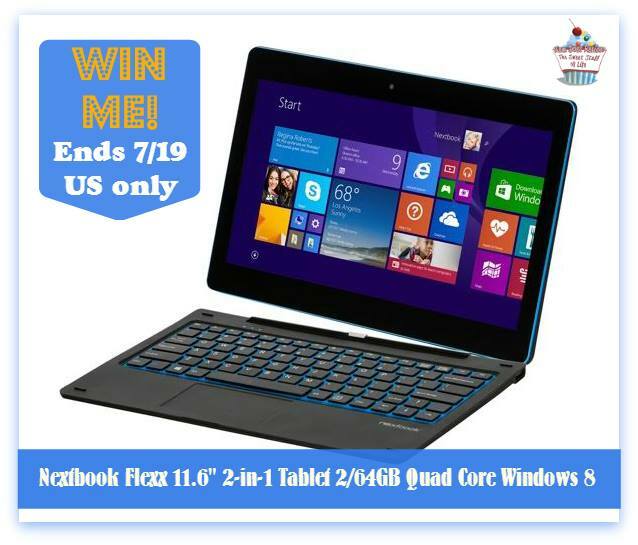 Enter to win this Nextbook Flexx today! I love the detachable keyboard! I like the size and detachable keyboard. I love that the keyboard is detachable..
the way it can go from a laptop to a tablet! That you can use as a laptop or tablet. I love to win this nextbook laptop be a gift unemployed help to look great memory working old one friends lov have kids too sick no money $extra.. I like the Bluetooth and WiFi capabilities. It makes it so much more convenient to go out with so you can pick a system. I like that it is touch screen and is preloaded VUDU Movies and TV app. i love the front and rear camera with integrated microphone. I like the detachable keyboard and the memory. I love the integrated mic and how lightweight it is! It’s at the top of my wishlist right now! I like that the keyboard is detachable. I love the keyboard – what a great feature! I like that it weighs less than four pounds. I love that its lightweight and comes with a Pogo keyboard! My laptop just died and I love that this is light weight and more portable than what I was using. I love the memory storage. Thank you for the giveaway. Awesome this would be great good luck! I like that it can be either a laptop or a tablet. I would like a computer a can carry to my bedroom with me. I love the front and rear camera with mic. Great for skying with faily overseas! I really like the detachable keyboard and the memory is great! I love that it comes preloaded with movies! I like the 2.0 megapixel front and rear cameras with integrated microphone. My favorite feature is the 2GB DDR3L system memory and 64GB onboard storage memory. That it has a detachable keyboard and it has front and rear camera. I love the detachable keyboard! Thanks for the awesome giveaway! The great thing about this tablet is how compact it is and the large capacity memory. I like the touch screen feature. I like that it comes with a microphone.. I love that it comes preloaded with VUDU movies! The preloaded VUDU movies are my favorite feature. My favorite is the 2-in-1 feature.. so awesome! The movies and the fact that this is new technology! I really like the 2.0 megapixel front and rear cameras with integrated microphone – bet it takes great pictures. I like the flexibility of the attachable keyboard. Maybe I’m behind on technology, but this is the first I have ever even heard of a device with a light up keyboard! That’s so cool, and would be my favorite feature! I like that you can either use it as a tablet or a laptop. My favorite feature of the Flexx is the 11.6” 1366 x 768 IPS capacitive touch screen. My mom has a hybrid PC that I use sometimes and the touchscreen makes navigation so much faster and easier. My favorite feature is that it can be a tablet or a laptop. I have never had a laptop before and this would all be new to me. I think i like the fact that it’s a tablet and a laptop in one! instead of spending money on two separate devices! Love that it has blue tooth as well! I like that it has a good processor, which is what I look for when purchasing a computer/notebook. I like that it has bluetooth! I love that it’s lightweight and so portable! And it looks like the keyboard lights up which is awesome! 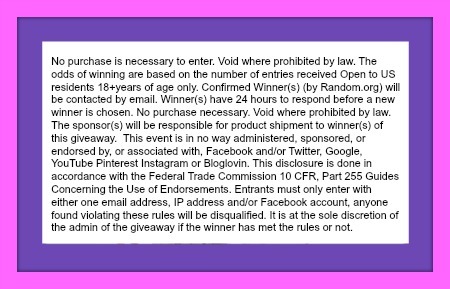 Thank you for the chance to win this awesome prize! I love that it is a full featured laptop and a tablet! Best of both worlds. What’s not to love? With 1.8GHz and a touch screen…. I’m sold! LOL! I like the keyboard and that it is also detachable. I like that it is lightweight and detachable. I like the Quad-Core Intel® AtomTM Z3735G Processor (X86, 1.8GHz) the best. I would LOVE to read books on this. I like it because you can use it as a laptop or a tablet. I also like that it is light and thin and I can basically do everything on it that I do on my laptop. I like it because its detachable. I like it because I can detach it. Besides the touch screen, it”s the detachable keyboard. Thanks for the giveaway. The feature I like the best is the touch screen. I love the detachable keyboard so I can use it as a tablet or a laptop! IT HAS A KEYBOARDS. GREAT FEATURE! I love that it has a keyboard , that’s the only thing I hate about my ipad is that it’s touch everything so typing and navigating is a pain. I love the detachable keyboard and ability to use as a laptop or a tablet! BTW Love the new look!!! Windows 8.1 and easy to carry around. Of course the touch screen!! Front AND rear cAmera, too. Preloaded VUDU Movies and TV app; NOOK for Windows 8 app! The touch screen is awesome. Besides the 64GB,I love that it’s compact and that it detaches from the keyboard,I just love everything about it.thanks for the chance to win such an awesome prize. The spacious 64GB onboard storage memory!